Have you ever stopped to consider the amount of time, energy, and, yes, even intelligence, that is expended every day around the world with the sole intent to scam someone out of money or property? Further, have you ever considered how productive those resources could be if redirected to a positive goal? Wishful thinking. Period. We have reported on hundreds of scams over the years, but they rarely directly affect people we actually know. 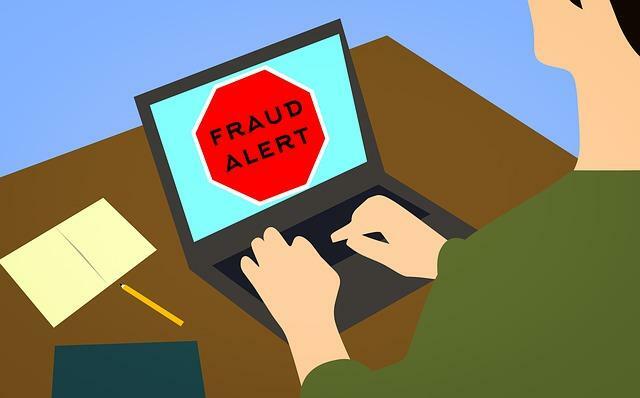 That changed (again) this past week, when I was notified that a scammer had attempted to write a large check against our own personal Home Equity Line of Credit (HELOC). Fortunately, in this case the financial institution was alert, noticed an unusual spending pattern, and contacted me immediately. We were able to immediately stop the transaction from clearing our account. Where do scammers get the information, and how do they apply it to their sinister plans? We would all be foolish to believe that most of our personal data is not available to a dedicated scammer. Remember the recent data breaches everywhere from the Internal Revenue Service (IRS) to the credit card companies, and even to the credit monitoring companies? Hundreds of millions of confidential data bits are now in the wrong hands. No one can stop every possible hack, but we are constantly reporting on methods everyone can use to protect themselves. For people in Florida, Georgia, and Washington, D.C., IRS offers a free Security PIN Number for anyone who asks for one. This PIN number will be required every time the taxpayer communicates with IRS. We have used one for a long time. We know many people who have been victims of identity theft at IRS. Restoring your identity is a long, painful process, and a Security PIN will prevent the problem from ever happening at IRS. This week’s problem was with my credit union, and involved using information that would be difficult to obtain. A bogus check was printed and written as payment to a “contractor,” then presented for deposit at another financial institution. The account information was almost perfectly printed, and would easily have passed a cursory perusal. Also, my signature had obviously been studied and copied, and while imperfect, it would have passed a quick look. Figuring out what methods were used to create the check is a topic for law enforcement. Our reporting is aimed at helping our readers and listeners prevent similar breaches in their accounts. As with IRS, we have learned that local financial institutions will also allow Security PINS, in the form of security Code Words. These are words that are required to transact business in your accounts. If you have open credit or significant cash at a financial institution, why not establish this simple security procedure? We have been impressed with the professionalism shown by our credit union. It is comforting to know that they are monitoring and can ask pertinent questions in a timely manner. However, as an old saying goes, “An ounce of prevention is worth a pound of cure.” Taking preventive action may not be 100% effective, but it is better than what most people have now. And it won’t cost you anything to take these simple actions. I am proof that security breaches and financial fraud can happen to anyone. Be vigilant and protect yourself.